Pennsylvania psychologists can save 20% on CE for their upcoming license renewal deadline of November 30, 2017. Up to 15 of the 30 required hours per biennium are allowed from APA-sponsored online CE courses. 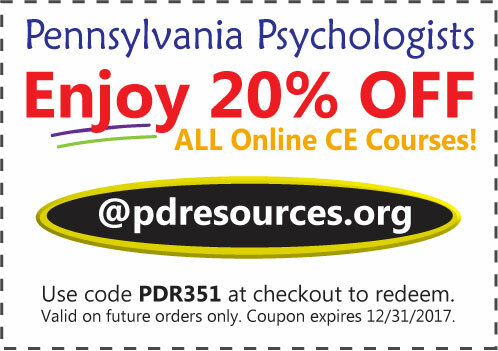 Pennsylvania psychologists can earn up to 15 hours required for renewal through online courses offered by Professional Development Resources, and save 20% on courses. Click here to view APA-approved online CE courses. Professional Development Resources is approved by the American Psychological Association (APA) to sponsor continuing education for psychologists. 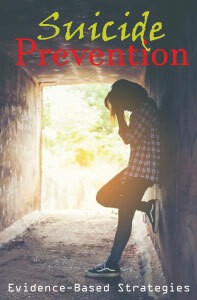 Professional Development Resources maintains responsibility for all programs and content. Over 100 courses are available! Over 100 Courses Available! Click here to learn more.